Getting a tattoo is a serious decision. It is important to arm yourself with as much information as possible. This is a basic guideline for what to look for when choosing a studio and a tattoo artist. Included are precautions meant to help prevent cross-contamination of blood borne diseases from one client to the next and instructions on how to care for your new tattoo. These guidelines are based on a combination of vast professional experience, common sense, research and extensive clinical practice. This is not to be considered a substitute for medical advice from a doctor. Be aware, however, that many doctors have no specific training or experience regarding tattoos and may not be educated on how to best assist you. Always insist on clean and sterile equipment . Only ultrasonically cleaned and freshly sterilized instruments should be used for tattooing. Ultrasonic units use ultrasonic waves to disintegrate ink debris, blood and plasma off of tattoo instruments ensuring superior uniform cleaning. The only acceptable means of sterilization is by an autoclave. The autoclave should be spore tested, at least, monthly to ensure that it is functioning properly. Any reputable studio should have no problem producing these test records upon request. Needles should be single-use only. Make sure your tattooist removes new needles and tubes from sealed autoclave bags in front of you. Autoclave bags have color indicators to show that they have been sterilized in an autoclave. However, these indicators can change colors even if the autoclave is not working properly. This is another reason you should ask to see autoclave test records. Be certain that your tattooist pours fresh ink into new disposable ink caps. Under NO circumstances should ink that has been poured out or used, be poured back into ink bottles. All tattooists should wash their hands and put on a new pair of gloves when starting a tattoo. Make sure that any item that may be touched during the tattoo process is covered by plastic or barrier film, to avoid cross contamination. Cross contamination is the act of spreading potential pathogenic (disease-causing) organisms from one item or surface to another. Even if a tattooist has on new gloves but touches a cross contamination item or surface, you are then in danger of those pathogens being transferred to your freshly broken skin. The best way to prevent cross contamination from one client to the next is by covering all surfaces that a tattooist might touch during the tattoo process with disposable plastic or barrier film. Items that should be covered include spray bottles, clip cords, lamps, knobs on power supplies and chair adjustments. Be sure your artist does not touch anything with dirty gloves, and that all items are wiped down with a disinfectant in between tattoos as an extra precautionary step. Your tattooist should be clean in appearance and sober. The furnishings in a studio should also be clean and orderly in appearance. All containers, work stations, and floors should be made of hard non-porous materials so they can be cleaned with a hard surface disinfectant. Feel free to question the tattooist about any of these basic guidelines and procedures. If a tattooist is a professional, they will have no problem complying with these standards. If for any reason you feel uncomfortable or if a tattooist appears evasive when questioned - go elsewhere! Tattoos should reflect who you are and what you like. Take your time and make sure your tattoo will be something that you can live with forever. Don't be limited to what a studio has on hand; sometimes part of finding the perfect tattoo involves explaining your ideas to the tattooist, and/or bringing in reference materials. Your tattooist should be able to draw a custom design for you. Discuss size, color, and placement. Sometimes designs that work on paper may not work on skin. You should be comfortable enough to trust in the experience of your chosen tattooist. Give the placement of your tattoo a lot of thought. 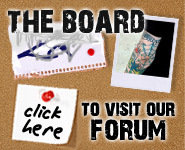 Most people have a gut feeling about where they would like to have their tattoos placed. Choosing where your tattoo is placed should not necessarily be based on a fear of how much it might or might not hurt. Every person's body reacts differently, so the sensation will vary from person to person. Size is another issue. Starting small is not always best. As tattoos age they spread a little, so get the tattoo the size that it will look the best over time. Discuss these, and all other aspects of your tattoo with your tattooist. They can share their experience with you. In choosing an artist to tattoo, you should never "price shop". Tattoo prices are based on quality as well as time, and prices will vary artist to artist, region to region. This is not a trade where there are fixed prices. Look at portfolios showcasing examples of tattoos by the tattooist that will be working on you. Look at line quality and smoothness of blends of colour. These photos are the best way to determine if a tattooist is worth what you pay them or is capable of the style you seek. A professional will refer you to someone else if they feel they can not do the piece you want correctly. Bargain tattoos, however, are often a sign of someone more interested in your money than your health. If a deal sounds too good to be true, it probably is. Don't gamble with your skin. A cheap tattoo now, may cost you hundreds to fix later or even worse, may cost you your health.